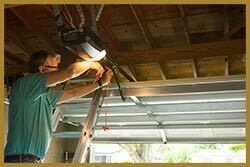 Do you often find your garage door malfunctioning for no good reason? Does it seem to have lost its efficiency? As time passes, garage doors can get worn out due to harsh weather, constant usage or other things like rust, cracks, loss of spring elasticity etc., which can cause your garage door to stop working properly, if not entirely. Apart from these, a detached chain drive, or incorrect force settings might even cause the whole garage door to crash down, putting your and your property’s safety at a huge risk. This is the sole reason why we advise all our clients and customers in Mesa, AZ area to call for professional help if they ever face a garage door emergency. Since we have years of experience and an abundance of technical prowess to fix any kind of door, we are the best choice when it comes to handling your garage door issues. 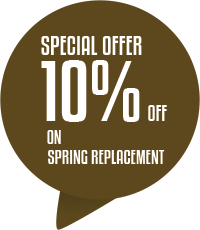 Right from the intricate and delicate network of essential components that make up a garage door to careful installation of springs to selection of the doors; there is quite a lot of important detailing that goes into the perfect working of a garage door. A rookie can easily ignore these variations, and before you know it, this carelessness can strike you without any warning. This is why, we recommend you to have your garage doors checked on timely intervals so that any faults in the system can be spotted and corrected at once. 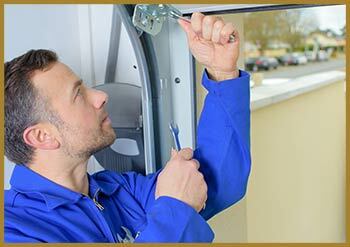 When United Garage Doors is called for an inspection, our team will evaluate aspect and spot any faint or strong signs of wear and tear or identify some plausible future issues. Our team of professionals will then lay out a range of suggestions, based on which you can make a decision and order them to carry out the prescribed solution. Time could be harsh on your doors - it will damage them and thus, render them inoperable. Accidental vehicle impacts or attempts at a break-in can damage the door, which in turn threatens the safety and security of your premises. It is important that you must attend to these issues at once. Call United Garage Doors and convey your worries to us - we’ll send our team of experts to hurl your worries far away in no time! It does not matter where you are located in Mesa, we work as a 24/7 garage door service and have super fast mobiles vans that can reach your location quickly. Garage doors can go off-track for many reasons. Cables or springs may get separated in one quick moment at one end causing the garage door to leave its track. Varying weather patterns and temperature instability may also result in similar results. In some situations, collisions due to heavy weights, hindrances during closure and everyday loss of efficiency may also result in the door going off-track. The moment you notice these hints, give United Garage Doors a call. If you ever try to set the door back on track by yourself that attempt will not end well. Please be warned, these doors are quite heavy, and if at any point any mistakes are made, it would pose a great danger to you and your property. 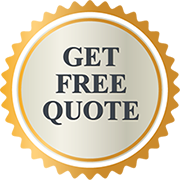 So just leave your worries to the best garage door company of the Mesa, AZ area and we can fix up your doors, restoring them to their former glory.